During the teacher walk-out last April, OnCue created a teacher commemorative cup, and 50 cents from the sale of each cup was to be given back to teachers in the districts where the cups were sold. 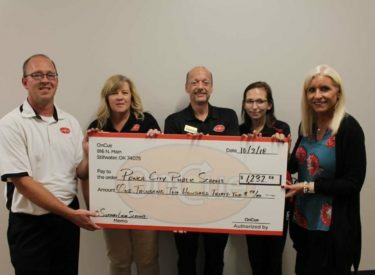 Ponca City Schools received $1,232, and the OnCue at Waverly and U.S. 60 was the second highest selling store in the state. Thanks to all who bought the cups!